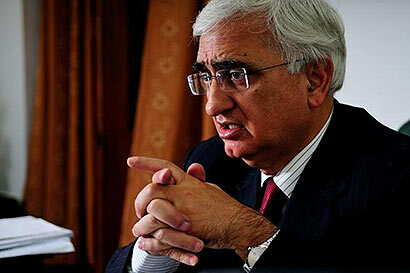 Sri Lanka has been told to speedily release the 53 Indian fishermen arrested by its navy Wednesday and Thursday, External Affairs Minister Salman Khurshid said. Making a statement in the Rajya Sabha, Khurshid said the government conveyed its view to Sri Lanka’s deputy high commissioner after summoning him to the foreign ministry. He said 16 Indian fishermen were caught by the Sri Lankan Navy on 3 March and were released nine days later. “We were in constant touch with these fishermen to ensure their safety and well being,” he said. The minister said 19 Indian fishermen were arrested Wednesday and 34 Thursday. “We will call for the immediate release and repatriation of the fishermen. “We emphasised on the need for Sri Lanka to have restraint and not to resort to violence under any circumstances,” the minister said. Lauding the government, AIADMK leader V Maitreyan said it was good that the government “finnaly had the courage to summon the Lankan envoy”. “Diplomacy won’t work, we need an iron hand approach,” Maitreyan said.